Do you need permanent or temporary storage? 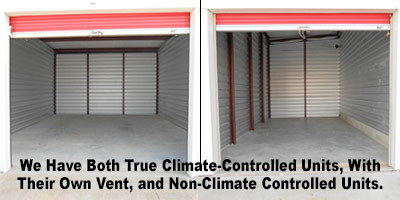 AAA Mini Warehouse offers climate and non-climate controlled units in a variety of sizes. Current customers rent units for a variety of reasons including: uncluttering their garage, cleaning up the spare bedroom, and storing infrequently used items like holiday decorations, outdoor tools, or inherited furniture. Storage units are even great for short-term relocations and for keeping excess business inventory. 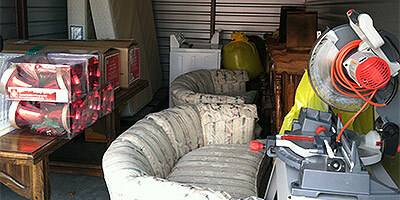 Isn't it time you got a storage unit in Lansing, KS and started uncluttering? We have the storage unit size that fits your needs! Select the unit size that works best for you. "My father recently passed away and I just couldn't part with his belongings. I didn't know how long it would take for me to go through all his stuff so I needed a climate controlled unit that would protect all that was left of him. Not only did a climate control unit protect the furniture but it also provided me a comfortable environment to go through each and every box."